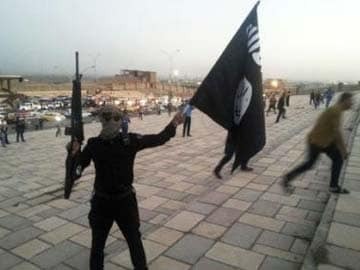 Mosul, Iraq: Jihadi militants have taken over a monastery in northern Iraq, one of the country's best-known Christian landmarks, and expelled its resident monks, a cleric and residents said on Monday. "You have no place here anymore, you have to leave immediately," a member of the Syriac clergy quoted the Sunni militants as telling the monastery's residents. He said the monks pleaded to be allowed to save some of the monastery's relics but the fighters refused and ordered them to leave on foot with nothing but their clothes. The incident was the latest move by the Islamic State, which last month declared a "caliphate" straddling large swathes of northern Iraq and Syria, to threaten a Christian presence in the region spanning close to two millennia. Over the weekend, hundreds of families fled Mosul, a once-cosmopolitan city which is the country's second largest and lies around 15 kilometres (10 miles) northwest of Mar Behnam. Families who were forced on the road and leaders of Iraq's Chaldean and other churches said Mosul was now emptied of Christians for the first time in history. Jihadi fighters want to create a state based on an extreme interpretation of sharia -- or Islamic law -- and have targeted all minorities in the Mosul area.